Greetings children! Here we are stepping foot into the last month of the year. Soon, Christmas celebrations will begin. Even now, you will find signs of the approaching festivities. Like Christmas, wreaths hung on the doors of the houses. 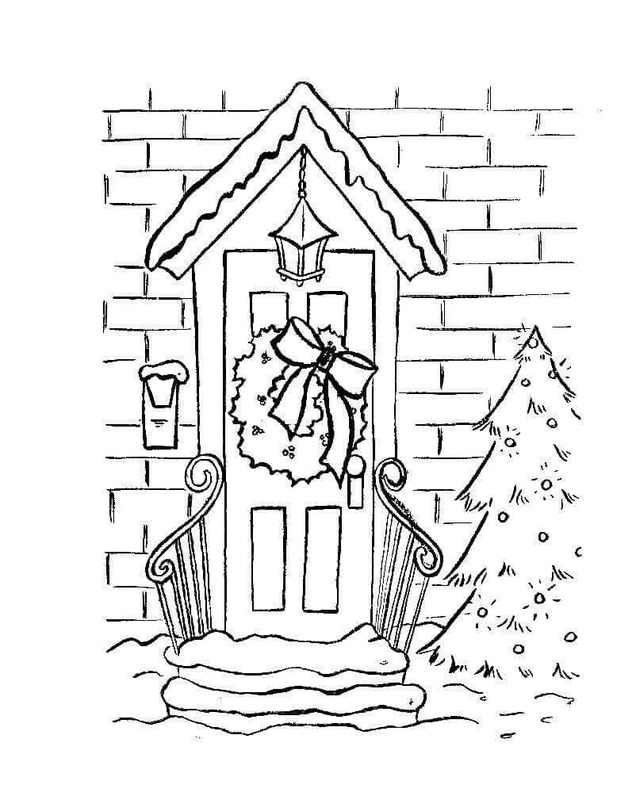 That’s why we are here today with a collection of Christmas wreath coloring pages printable. 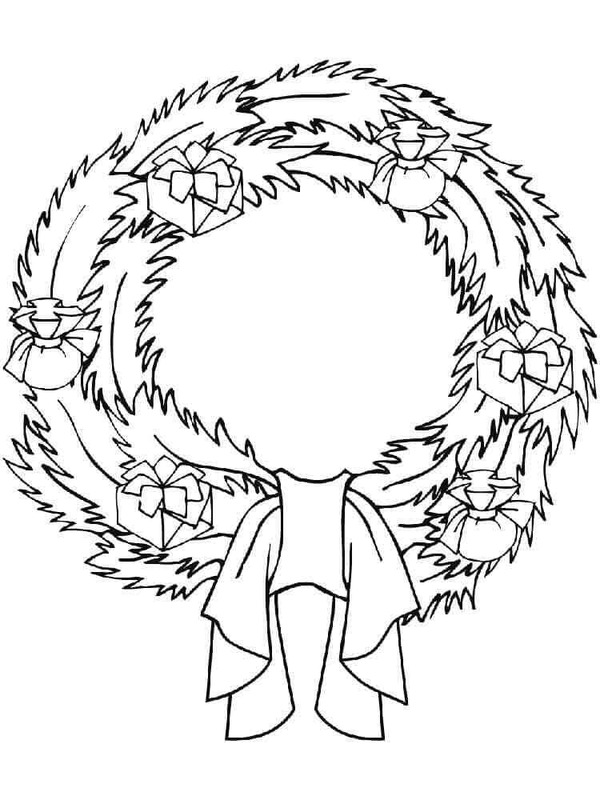 A wreath is a circular construction made of an array of materials, mainly flowers, leaves, and twigs. Generally associated with ceremonial events, wreaths have become synonymous with Advent and Christmas decoration. Advent in olden times was a period of fasting when people meditated on the second coming of Jesus Christ. Since then it has come to be known as the days before Christmas, leading up to it. 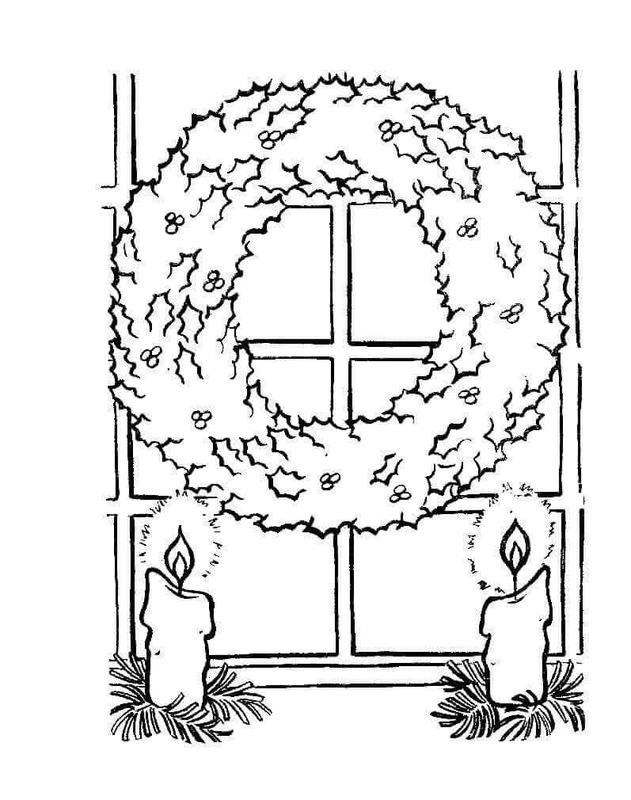 The Advent Wreath acts like a harbinger of the festivities of Christmas. 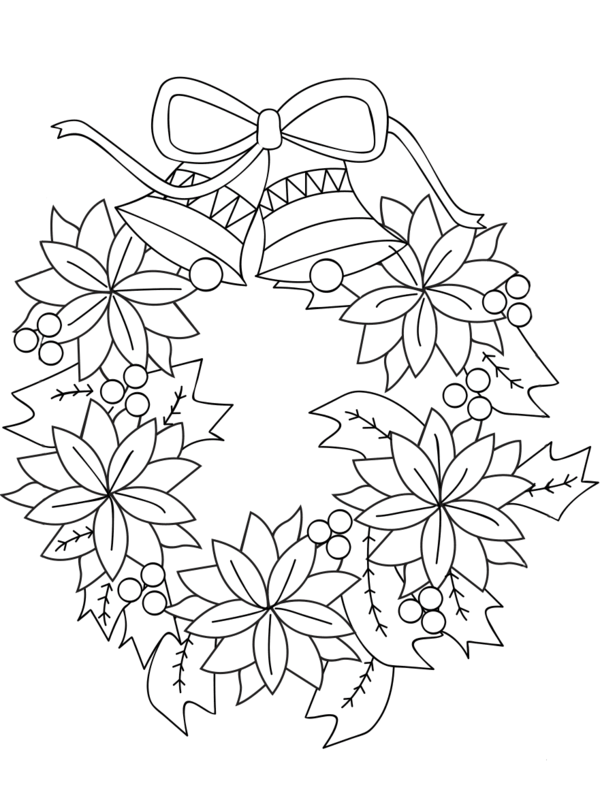 Similarly, this interesting collection of Christmas wreath coloring sheets to print, will act as a list of information on Christmas wreaths as well as give you fun and creative ideas to craft one of your own. In the 16th century, the Advent Wreath was first used by Lutherans in Germany. Lutheran priest named Johann Hinrich Wichern educated children about Christmas by using a wreath made from a cart wheel. 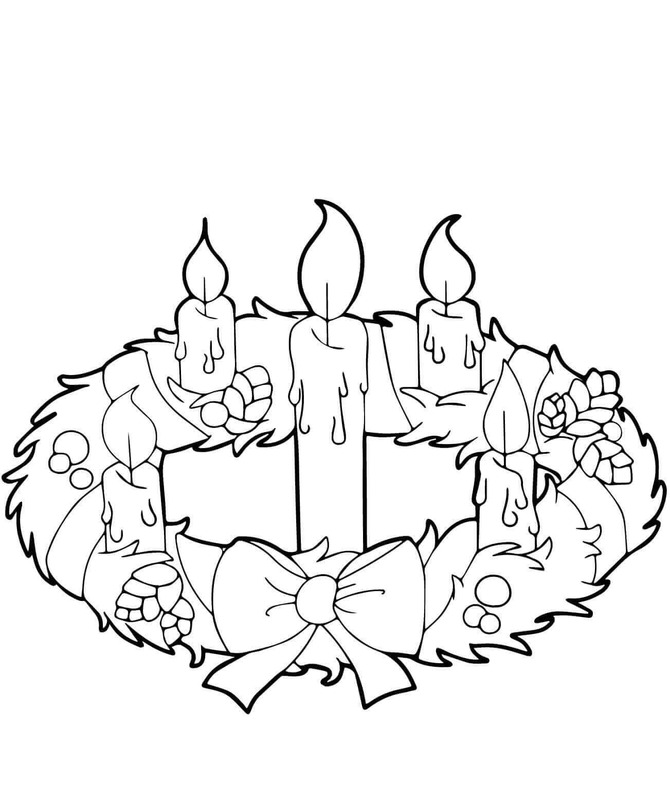 The Advent wreath comes with four candles around the circumference and a fifth one in the middle. 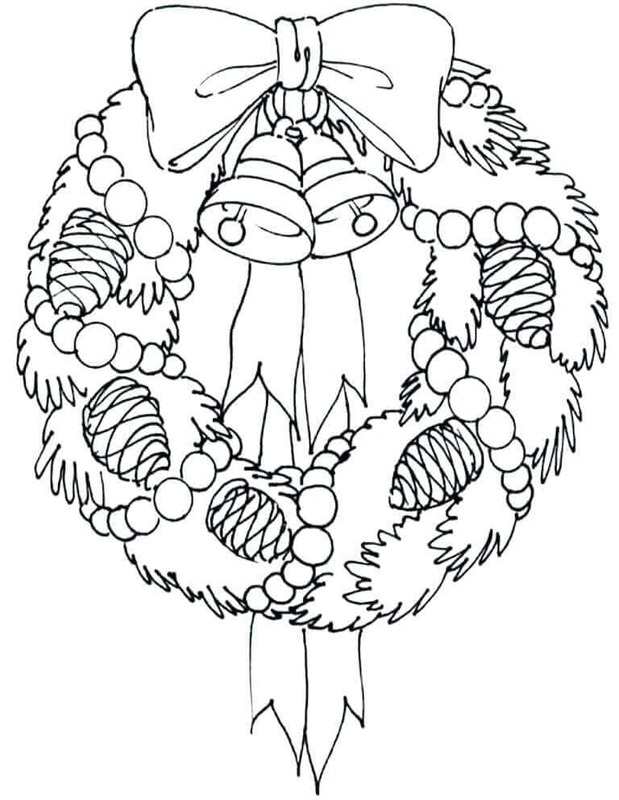 You can look forward to all the festivities while you color this wonderful wreath. 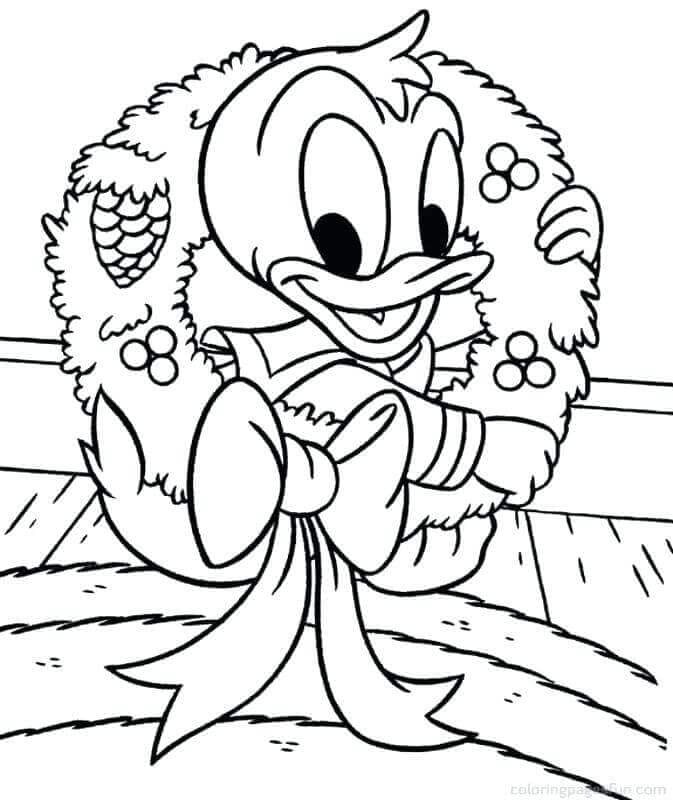 What is making little Donald Duck so happy? Yes, he has just finished his shopping for the best Christmas wreath this season, with Christmas berries and acorns as decorations. This year, you too can join in the shopping along with your parents and get a unique Christmas wreath for your house. 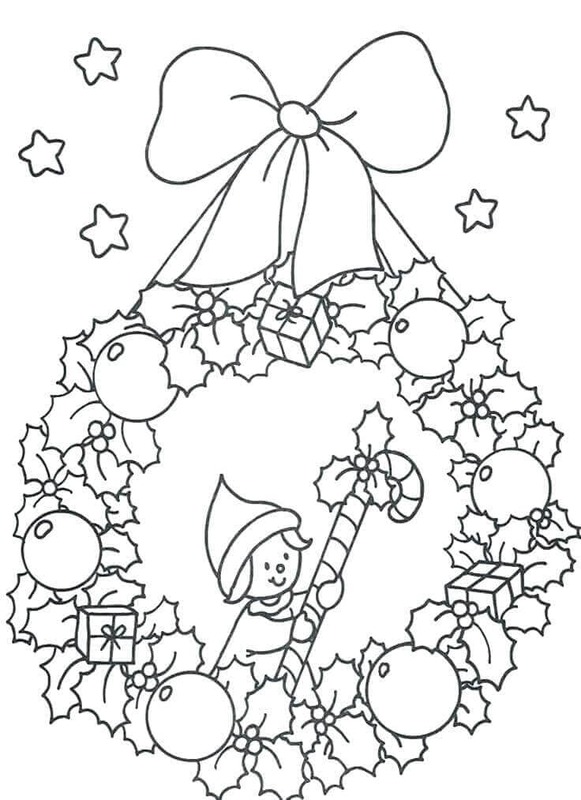 Imagine the designs you would like for your wreath while you fill in the colors of joy on this coloring page. Christmas bells and poinsettia make for a perfect Christmas wreath. Poinsettia became associated with Christmas celebrations from the 17th century onwards in Mexico and gained popularity across North America. Did you know there is a National Poinsettia Day in the United States? It is annually celebrated on December 12. Christmas stocking filled with sweets and gifts and a Christmas wreath perfectly resonates the holiday spirit. Stocking is a fabric made into a sock and often hung on the mantelpiece above the fireplace. 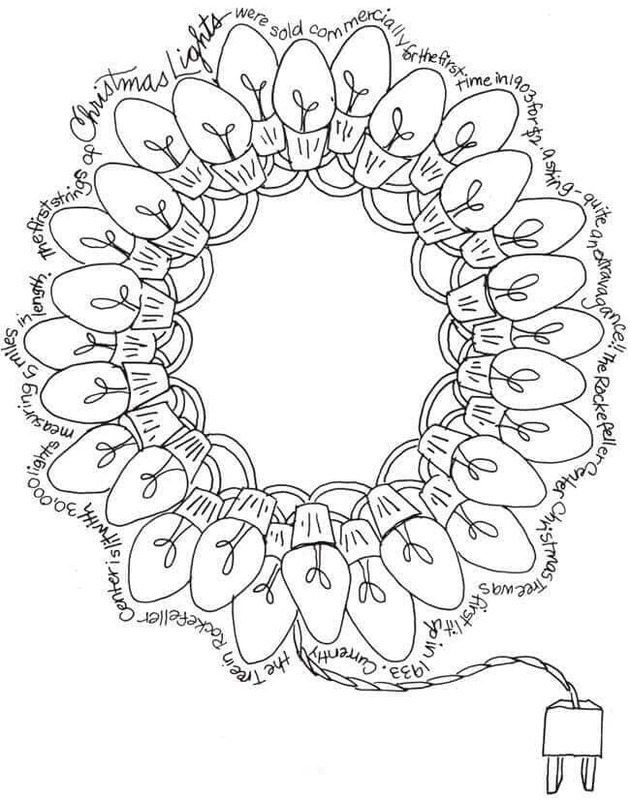 Sometimes, they are decorated together with a Christmas wreath as illustrated on this page. 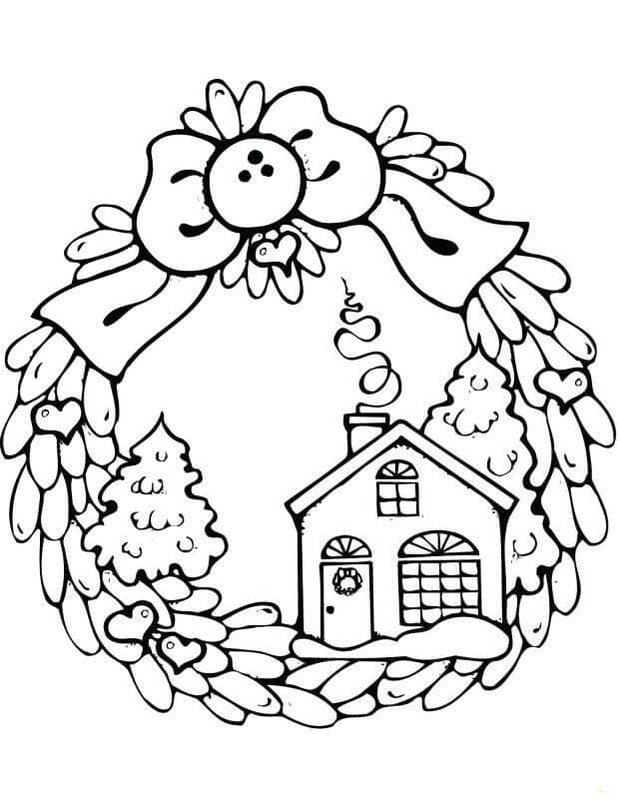 If you are aiming high for your Christmas decorations this year and planning to get into elaborate detailing, you will love the Christmas wreath on this coloring page. Adorned with several Christmas elements like the angel, candy canes, stars, bells and more. Print this page and bring out the intricacies of the illustration with lively colors. The neatly tied ribbons on this Christmas wreath looks too plain. It needs your help to showcase its colorful personality. 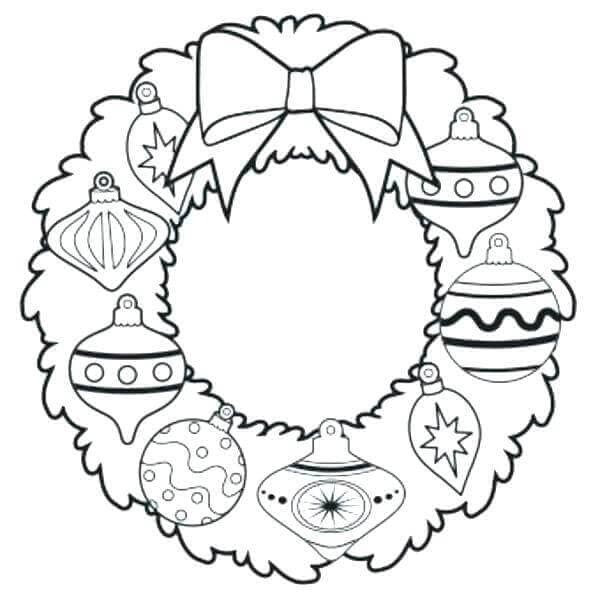 Print this coloring page and color each of the bow-ties in different shades. Here’s a fruity wreath for your Christmas decoration this year. From apples, pears, and grapes, this special Christmas wreath is adorned with wonderful fruity delight. 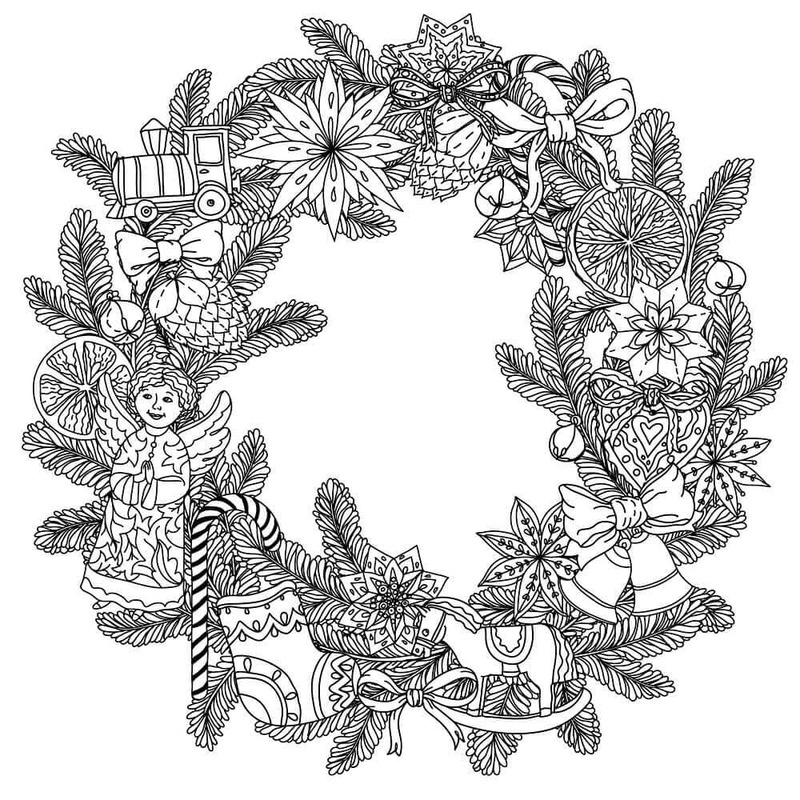 Once you print this coloring page and start coloring the wreath, you will surely feel like plucking and eating one of the fruits. December is here and most of the houses will soon be decked up with lights and a variety of Christmas ornaments. Using the Christmas ornaments like these baubles of different shapes in a unique way is this Christmas wreath. 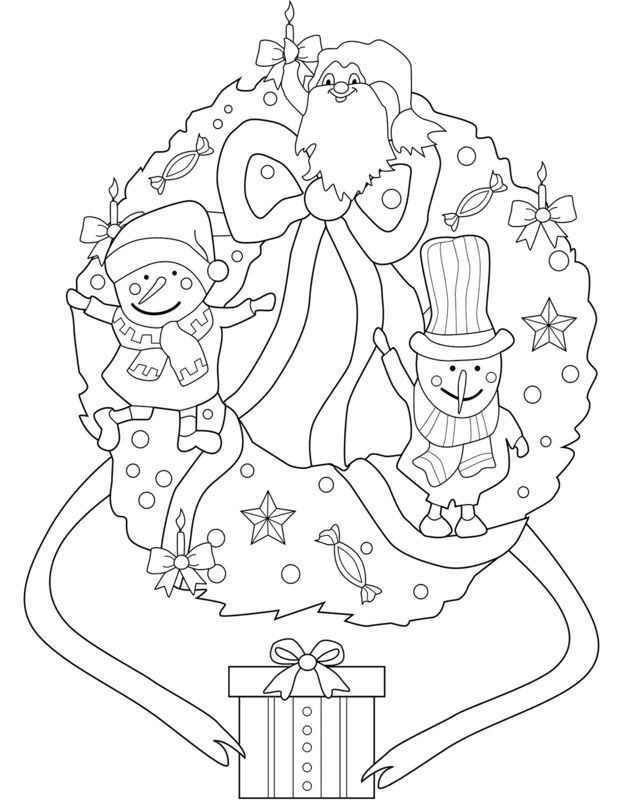 You can print this page and use different colors to highlight each of the ornament as well as the bow-tie ribbon. In the olden times, people didn’t have different Christmas decorations or even lights. They would simply light candles and craft modest decorations like this Christmas wreath made of evergreen leaves. 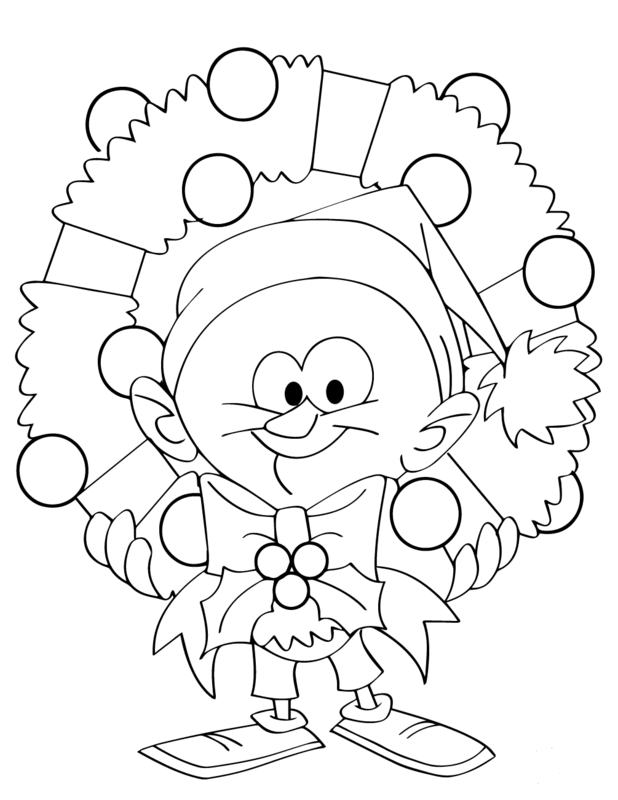 Print and color this simple illustration in attractive colors. From a simple wreath, we now move on to an exquisite Christmas wreath. This elegant Christmas wreath, decorated with acorns and joyful bells, comes with a string of pearls wrapped around it. A large ribbon with a bow-tie adds a finishing touch to this extravagant Christmas wreath. Make sure you print and color each element with great care. It’s hard to imagine a gingerbread house in a Christmas wreath, isn’t it? But that is what we have got for you in this illustration. Gingerbread houses are made up of gingerbread cookies which are baked and cut into different shapes and sizes. There are even gingerbread trees. 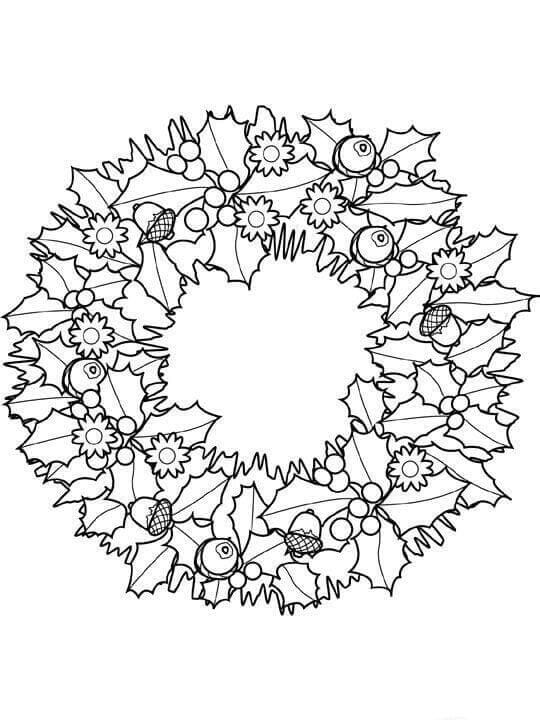 Let your imaginations run wild for your own Christmas wreath ideas as you print and color this one-of-a-kind Christmas wreath. This tiny little elf is having a hard time carrying the Christmas wreath bigger than his size. Still, there’s a smile on this face, as he tries to lift the wreath and deliver it to a deserving house. You too should never get frustrated if you don’t get something right. Always keep trying, learning from your mistakes, until you finally succeed. Print this page and color this funny and inspiring illustration with joy. There are not just Christmas berries and gifts on this wreath, but also a decorative elf holding a candy cane. This cute little elf is an adorable Christmas ornament and looks so perfect sitting on this Christmas wreath. You can add to the cute factor of this illustration by coloring it with bright and festive colors. The struggling little elf who was finding it hard to carry the Christmas wreath has managed to bring the wreath to the proper house. He sure looks satisfied and happy that he didn’t give up. Print this page and you can generously reward his effort with colors. When we are talking about Christmas how can we not talk about Santa Claus? This Christmas wreath pays an ode to our Father Christmas and his hardworking group of reindeer. 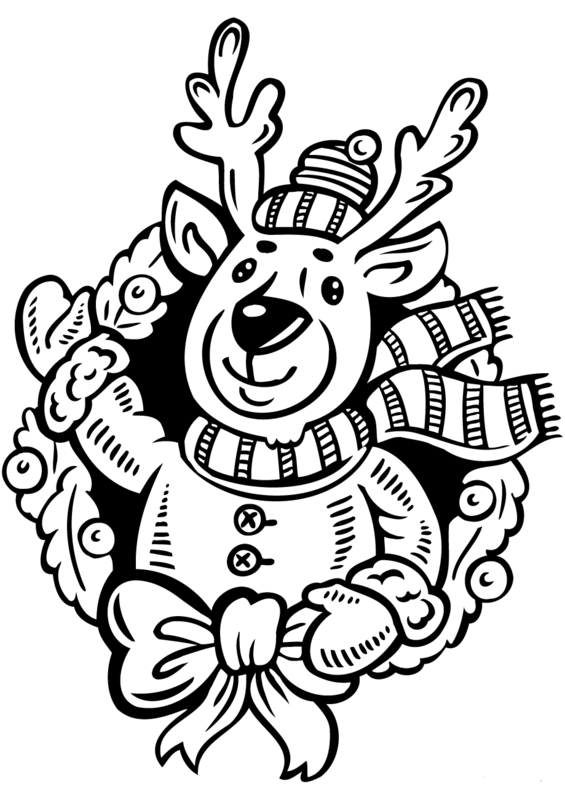 Show your gratitude to Santa and all the eight reindeer by printing and coloring this page with great fervor. In case you are behind on sending your Christmas cards, we are here to rescue you. 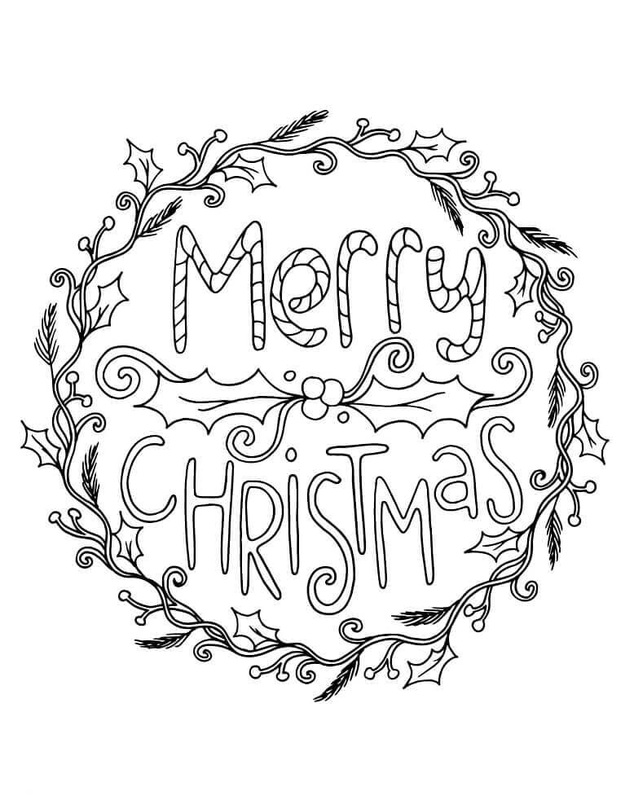 Print this illustration that reads Merry Christmas circled by a strikingly lovely Christmas wreath. You can write your message at the back of the page or make a folded card with the message on the inside. It feels good to finish your work early and get everything done on your list of things to do. That must be why this little girl is looking so happy, carrying home the Christmas wreaths she made for this year’s Christmas preparations. 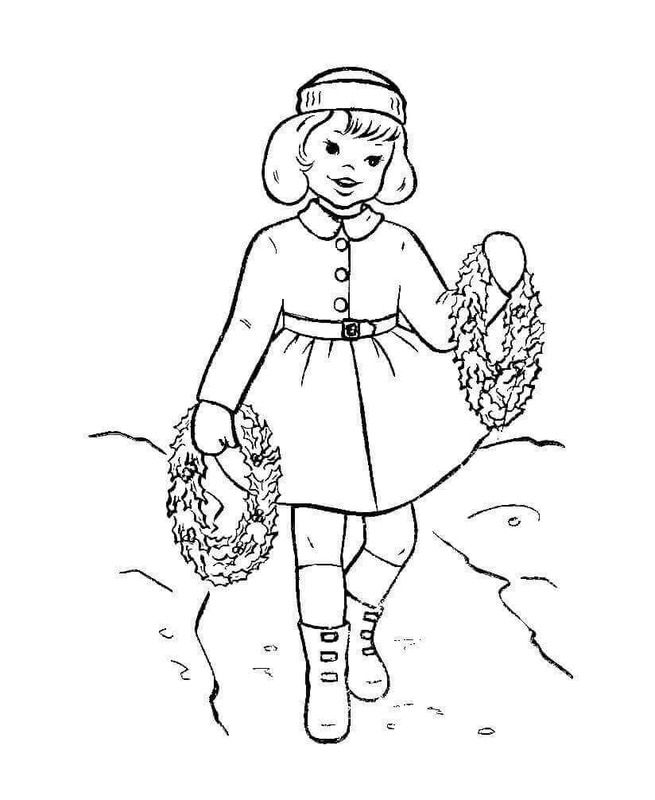 If you are as artistically inclined as her, you too can start your preparations for your Christmas wreaths after you print and color this page. One of the most identifiable symbols of Christmas is the Christmas berry. And a wreath made entirely out of Christmas berries speaks loud and clear that is it the holiday season. Before you print and color this page, be sure what colors you need to use. Yes, it’s red for the berries and green for the leaves. Instead of decorating your Christmas wreath with lights, this clever illustration shows how the Christmas lights can be used to make a bright and sparkling Christmas wreath. Isn’t this a brilliant and illuminating idea? You can print this page and give the lights same or different colors. Here’s Rudolph – the red-nosed reindeer, who became a hero for helping Santa guide his sleigh, with his bright nose, one particularly foggy night. This led him to join Santa’s prestigious crew of reindeer flying every year on Christmas Eve. Did you know he was teased for his big nose? Look at him now, so loved for what some thought was his flaw. No matter what others say, always take pride in being you. Now, print this page and color it with great pride. 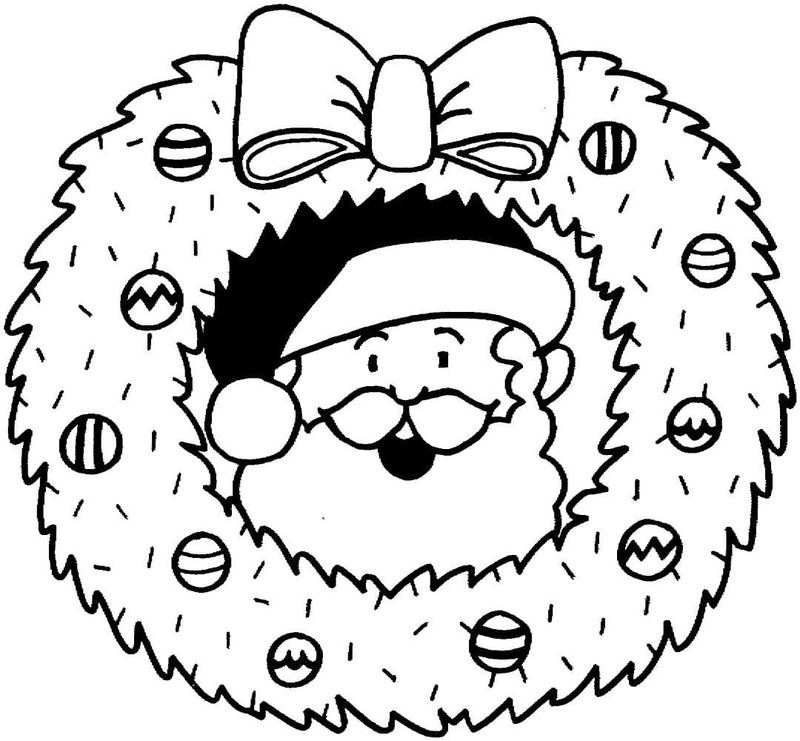 After Rudolph, the red-nosed reindeer, dear Santa has joined the Christmas wreath decorations too. This pretty Christmas wreath decked up with different Christmas baubles and a bow-tie has Santa Claus looking as jolly as ever at the center of the ring. Look, who we have here! It’s Scooby-Doo who seems to have managed to get his neck stuck around a Christmas wreath while playing around in the house. Even in his naughty playfulness, he still looks so cute and adorable, doesn’t he? 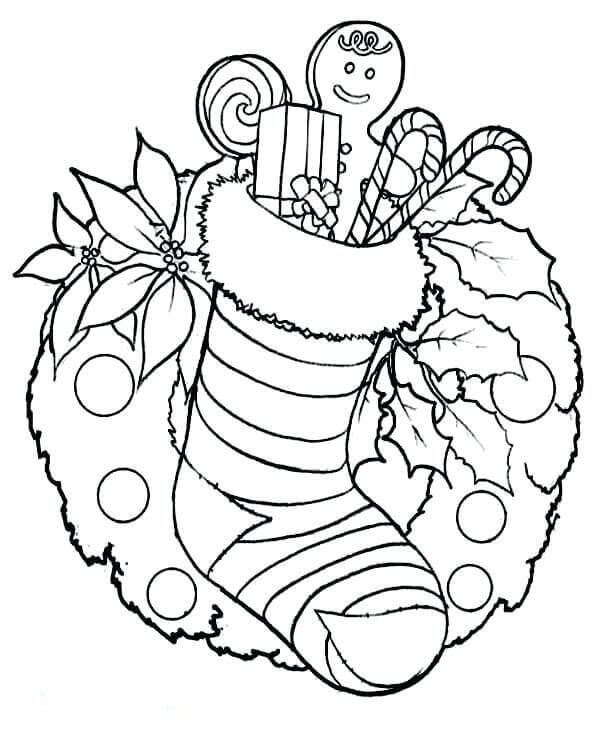 Join in the fun by printing and coloring this illustration in jovial colors. You do not always need a lot of ornaments or different accessories to make a beautiful Christmas wreath. A few green leaves and twigs, assembled together harmoniously and wrapped around with a graceful ribbon, can make for an extremely elegant Christmas wreath. Although some parts of the world do not get to experience winter season, Christmas and winter are difficult to imagine separately. And nothing else signifies both like the Snowman most families make on their front lawns on Christmas Eve. Heralding the festive season are these two snowmen ornaments, sitting merrily on a Christmas wreath. There is even a present for you to color. These empty Christmas stockings hung together with a Christmas wreath, made entirely of Christmas berries, will be full of gifts and candies on Christmas morning. How? Because Santa leaves his gifts behind not only under the Christmas tree but inside the empty Christmas stockings as well. A single teddy bear is fluffy and cuddly. What if you had three of them? Here, we have three teddy bears snugged together cozily in this Christmas wreath. 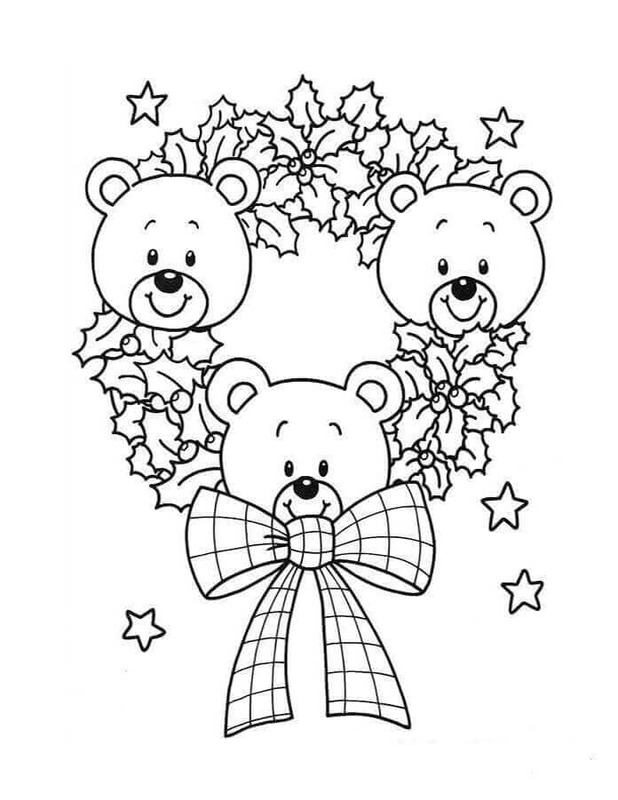 You can print this page and give these thrice fluffy and cuddly bears some warm and fuzzy colors. These days there are several options available on the market when it comes to Christmas decorations, including wreaths. In case you are looking for a traditional variety, you need to get a Christmas wreath that is made of evergreen conifer leaves and Christmas berries and perhaps adorned with traditional Christmas elements like candy canes. The Christmas ornaments like the baubles on this Christmas wreath are shining so bright. Test your coloring skills by highlighting the gloss on the ornaments and the brightness of the light from the candle using varying shades of different colors. You will soon come across the neighboring houses hanging their Christmas wreaths on their front door. Your own house will have one too. 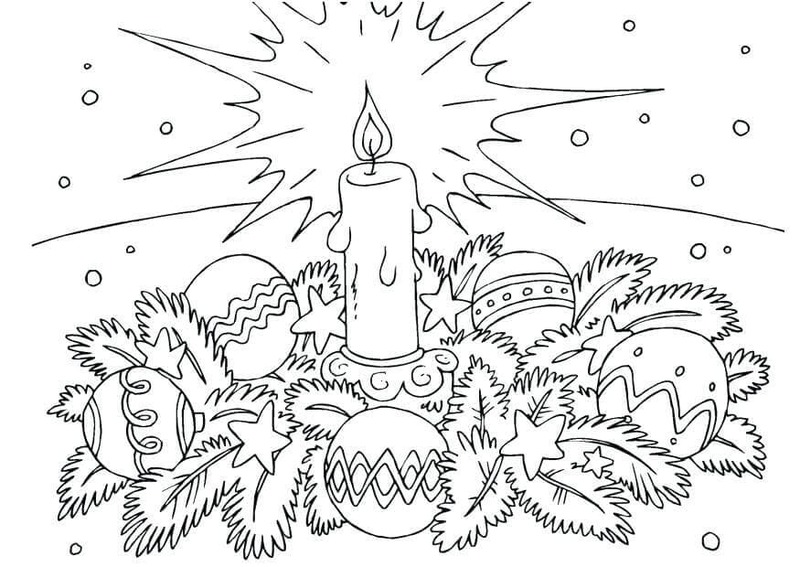 Print this page and carefully color the festive details in this illustration. When we are young, Christmas is all about fun times with family and of course presents. Look at this gorgeous Christmas wreath decorated with tiny little presents. 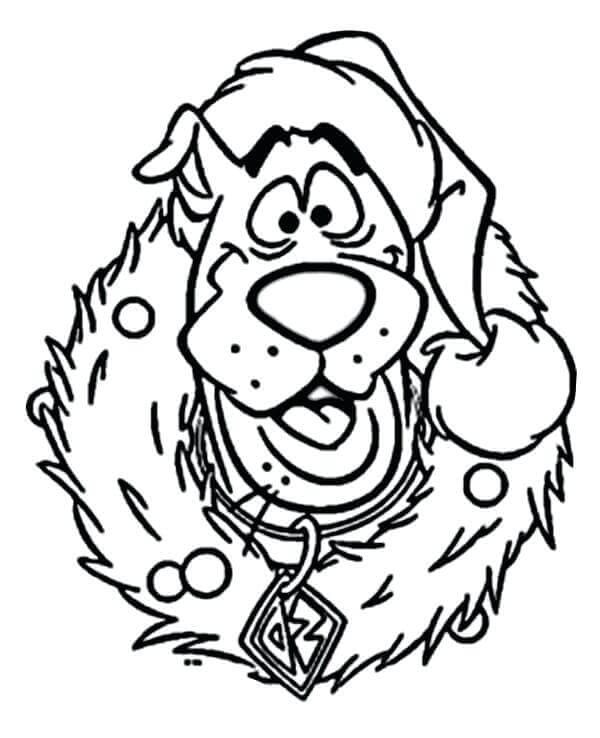 Imagine all the Christmas gifts you will be getting this year, while you print and color this page. 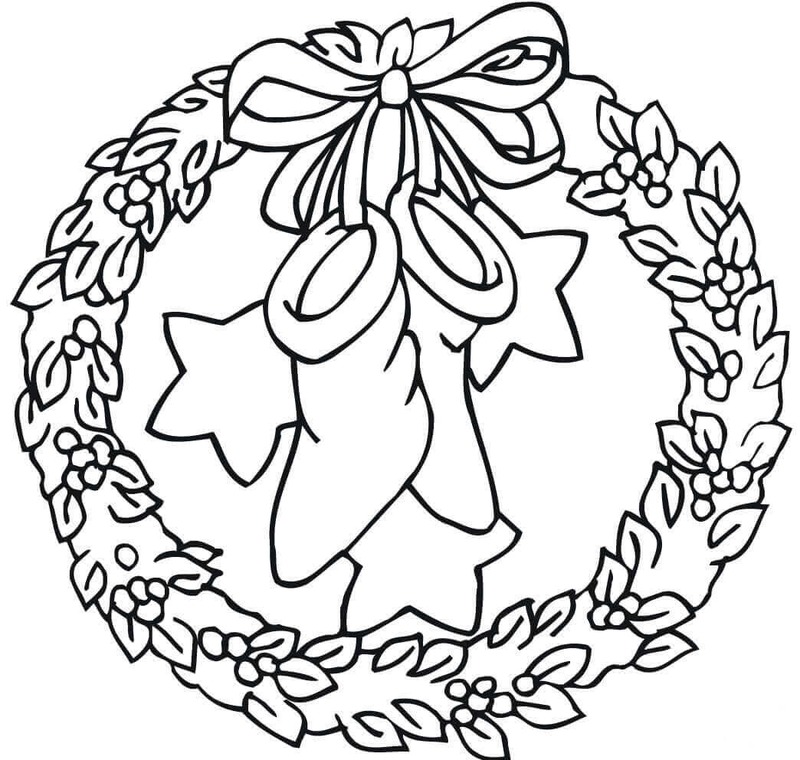 On that gifted note, we conclude this collection of Christmas wreaths coloring pictures to print. 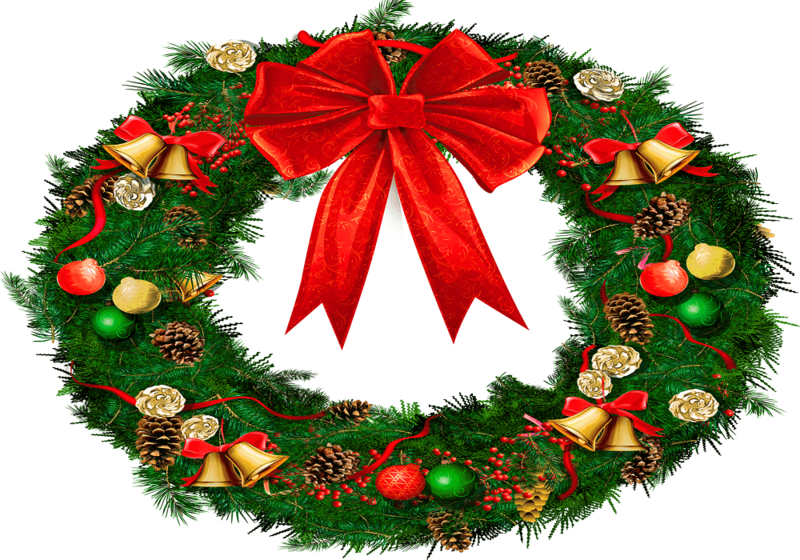 We hope you have accumulated numerous ideas for your own wreaths or learned which ones to buy. No matter what you do, don’t forget to have a joyful time with your family and friends. After all, that’s the true spirit of Christmas – the joy of kindness in togetherness.